This year, eCommerce will turn 25. That sounds like a long time, but in historical terms, the first online transaction in August 1994 (a Sting CD, by the way) was really just an eye-blink ago. That means eCommerce is still growing up. It’s basically a Gen Y kid finding its way in the world, and things change and evolve as rapidly as you’d expect. But even though eCommerce is relatively young, it’s still a huge and really important part of the world economy. Last year’s Cyber Monday proved to be the biggest online shopping event in history with sales reaching an all-time high of $7.9 billion. Statista predicts that global eCommerce sales will reach a whopping $4.88 trillion by 2021. Yes, trillion. But as eCommerce continues to rake in a larger portion of retail sales each year, it’s becoming more difficult for brands to stand out. If you want a piece of that massive online retail pie, you need to make sure your brand stays up-to-date with the latest trends. People love the convenience of shopping from home, but eCommerce eliminates many of the best parts of the physical retail store experience. Shoppers like to try on clothing, touch furniture fabrics, eat their weight in Costco samples, and mess around with tech gadgets—none of which is possible with online shopping. This lack of physical connection often leads to buyer hesitation and, in turn, fewer sales. Augmented reality and virtual reality technology are beginning to help bridge this gap. Although it hasn’t been adopted quite yet by mainstream eCommerce stores or consumers, VR has a lot of potential, with 66 percent of people wanting to try this type of shopping experience and 63 percent of shoppers believing that VR and AR will forever change how people shop. As VR headsets become more compact and develop wireless connections, it’s likely this technology will become a prominent part of eCommerce, so keep it on your radar. Many companies have already integrated AR technology into their shops with success. This technology overlays digital images atop real-world surroundings to create a more engaging experience. 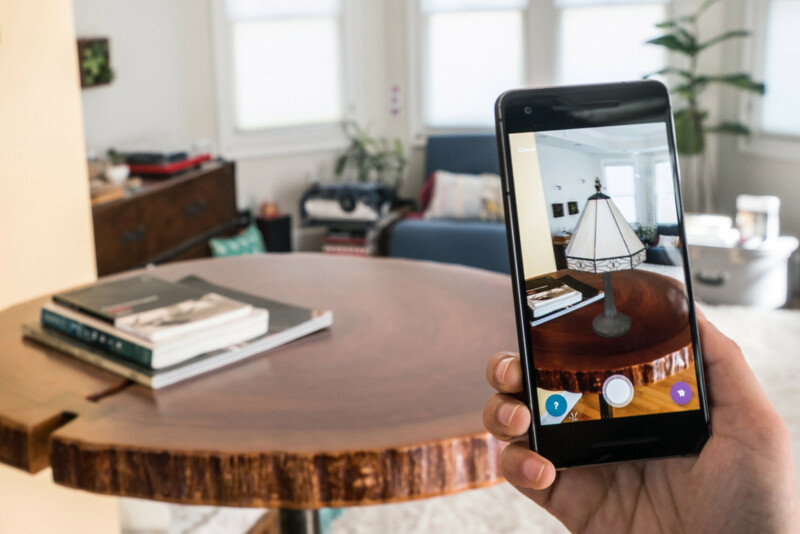 Online furniture retailer Wayfair, for example, created an AR feature within its mobile app using Google’s ARCore program that allows shoppers to virtually place products around their home. How many times have you considered buying something online, but you weren’t sure where to put it or if it would look in a particular spot? With this capability, shoppers can easily visualize how the item will fit into their home, making their decision easier and increases the likelihood of a purchase. Search right now almost always means typing something into a search box—but that’s changing rapidly. Virtual assistants are working their way into more and more homes, with a quarter of households in the U.S. now having at least one smart speaker. And we’re getting used to using them for our searches. Based on a Google-funded study by Northstar Research (so take it with a grain of salt), 41 percent of adults use voice search every day. By 2021, research company Gartner estimates that eCommerce brands with voice and visual search optimization will increase profits by up to 30 percent. Voice search makes browsing and purchasing more convenient for shoppers and provides store owners with further insight into consumers’ interests and buying patterns. 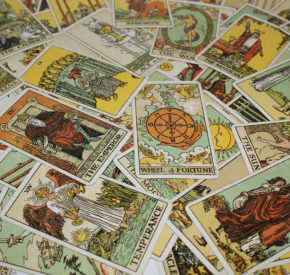 Voice will turn traditional SEO strategies on their head. Text-based keywords are shorter, to-the-point phrases while voice-based searches are more conversational in nature. What real questions do your customers ask about your products or industry? How do they talk about your products? These are the things you should make sure appear in your product copy. And that’s not the only evolution of searching for eCommerce. Visual search, where users search with an image rather than text, is also growing (for example, Pinterest, saw 600 million monthly visual searches in February 2018). Watch for more eCommerce sites incorporating visual search, where users can snap a pic with their phone, use a photo they already have, or even use an AR app to search for whatever they’re looking at. Video is already pretty popular on eCommerce—but it’s still growing. There’s no mystery why retailers are gravitating toward more videos—they can increase conversions, click-through rates, and web traffic. In fact, Forbes found that 65 percent of customers are more likely to make a purchase after watching a product video. Shoppers are attracted to this advertising method because it feels more authentic and can provide valuable information. 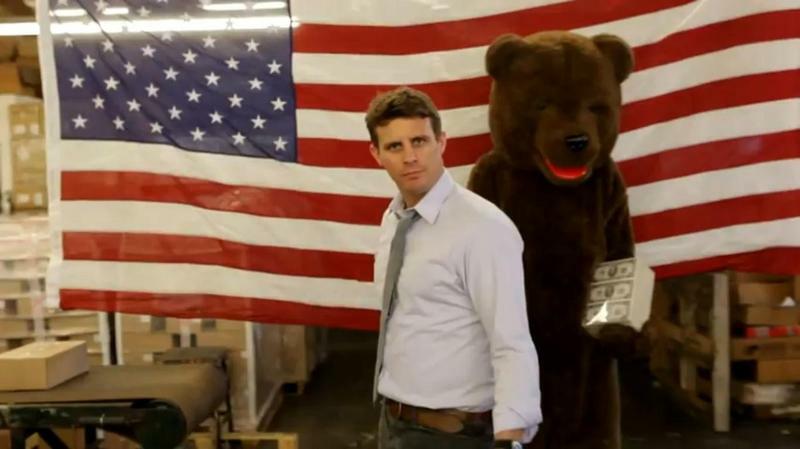 Dollar Shave Club experienced first-hand how effective video marketing can be when its unexpectedly funny first video received nearly five million views and generated 12,000 orders within the first two days of its release. This format is so beneficial because it’s very easy to share and elicits an emotional reaction from viewers. The Aberdeen Group found that companies utilizing video in ad campaigns boosted revenue 49 percent more quickly year-after-year than those that do not. According to Cisco, video will be 82 percent of all internet traffic by 2022. That’s up four-fold over 2017 and demonstrates just how important video will be to eCommerce (and all businesses) in the coming years. Experiment with one or more of the following video formats and add embedded videos to your product pages or link to videos in your Jilt post-purchase emails to pique customer interest and boost revenue. 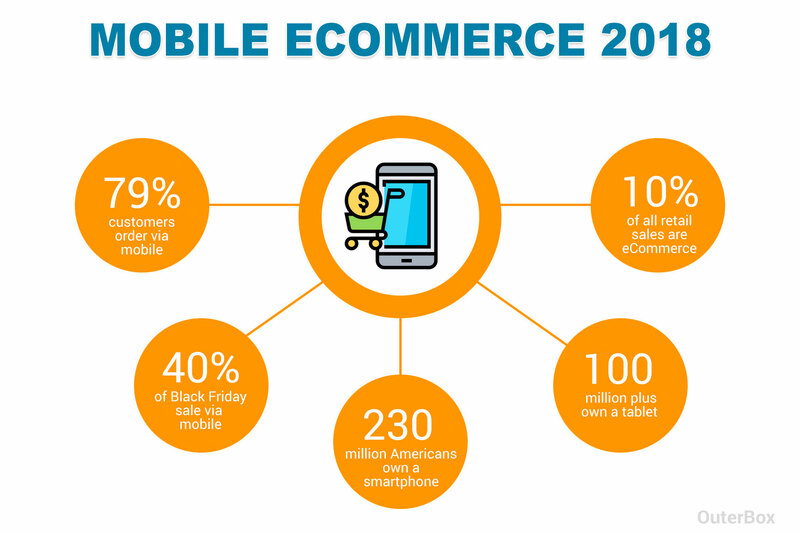 Mobile shopping has continued to increase over the last several years, with experts estimating that mobile commerce will make up 44.7 percent of online sales in 2019. Four out of five smartphone users say they’ve made a purchase on their phone in the last six months, and almost 40 percent of eCommerce during the 2018 holiday season happened on phones. Those are big numbers—and they’re growing. Responsive design that looks great on a desktop computer, tablet, or phone is a must. Also consider other mobile-friendly tweaks like adding digital wallet payments options—they speed up the checkout process and can triple your conversion rate. Keep your navigation simple, your content tight and effective, and make sure your email marketing is mobile friendly. eCommerce customers love chat. According to one study, 51 percent are more likely to make a purchase if they can have a live chat, and 44 percent say having their questions answered in real-time is one of the most important features an eCommerce site can offer. And that’s cool… except it’s a big ask for a small company, and an impossible ask for someone running an eCommerce business solo. That’s where chatbots come in. Rather than answering every question yourself in real time, why not have a robot do it—or, at least, serve as an initial screener? And chatbot technology isn’t just available to companies that can afford AI developers or ones that have been building a secret army of robots in a sub-basement. There are plenty of affordable and simple chatbot apps available right now for both Shopify and WooCommerce. If you’re on the fence about adding one, keep this one stat in mind: 29 percent of people say they’re more likely to buy something on a website with live chat, even if they don’t use it. Direct-to-consumer brands, which handle every single aspect of their business from design to manufacturing to sales and distribution, are on the rise. There have been a number of high-profile successes in the space recently, including Casper, Warby Parker, and other brands you hear advertising on literally every podcast—so now, lots of others are following suit. There’s a strong appeal to running a DTC operation. Without a bunch of middlemen siphoning off any money, you can cut costs and increase quality, like The Black Tux did by manufacturing their own tuxedos for their online rental store. You’re not at the mercy of major retailers, meaning you control your brand experience at every step. You “own” every single one of your customers and it’s easier to gauge the effectiveness of your marketing. That being said—DTC is still a tough game. Managing every single aspect of a retail business is a significant undertaking that requires capital, organization, and lots of talented, specialized employees. However, as more bespoke DTC brands gain serious traction and siphon off significant market share from the mega-retailers, it’s a space that’s undeniably worth keeping an eye on—or, in the most ambitious cases, joining in on. There’s something almost poetic about it. 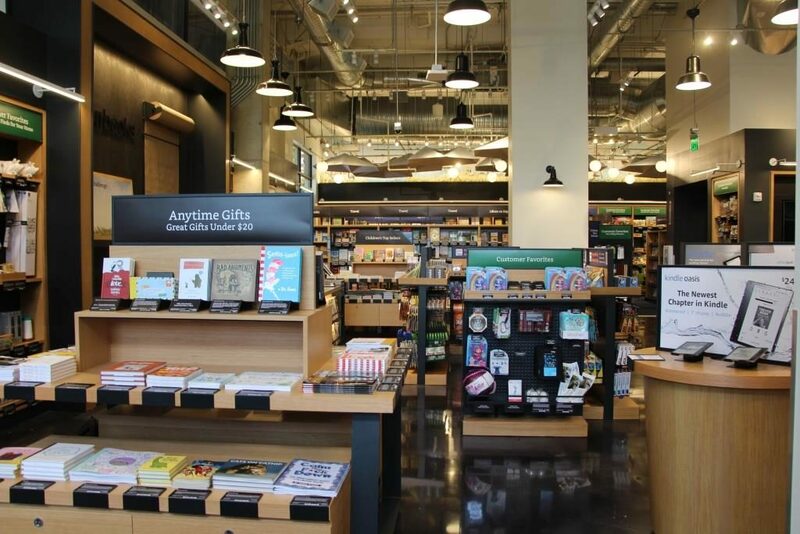 Amazon drove countless brick-and-mortar bookstores out of business—and now that they’re gone, Amazon has started opening its own brick-and-mortar bookstores. There are now more than 50 Amazon Books locations around the U.S.
But—those stores don’t just sell a curated selection of popular books. They also serve as a place for people to come check out Amazon’s gadgets like the Kindle and Echo, and even to handle package pick-ups and returns. Amazon is using their physical locations for book sales, sure—but through another lens, that almost seems secondary to the other purpose of bridging other key gaps between the online and brick-and-mortar experience. With their stores, Amazon can now get the sales boost of people playing around with their gadgets, like Apple does at its Apple Stores. And by incorporating a staffed shipping department into the stores, Amazon can make the delivery and returns process on complicated orders go much smoother than they could via any online-only instructions or chats. Amazon is far from the only one looking to establish a physical presence to shore up the vulnerabilities left by a virtual-only business—and secure even more customers by giving them that in-person, three-dimensional, tactile experience. Last year, more online-only retailers, including Rent the Runway, Everlane, Allbirds, and Adore Me, started making the move to add more physical locations, featuring curated collections and the in-person service touch, and that trend is continuing on now. It’s estimated that digital brands will open at least 850 physical stores in the next five years. And as that trend continues, it will be interesting to see how many of the stores start stocking more inventory, rather than just a small sample, to achieve one of the other key benefits of the brick-and-mortar experience: The instant gratification of walking out with a shopping bag in-hand. As technology and customer preferences continue to evolve, the eCommerce world is adjusting with it. That’s reflected vividly in the trends we’ll see in the industry this year. Augmented reality and virtual reality shopping will start carving out a space in the market, as retailers strive to find ways to make the online shopping experience more immersive. As people get more accustomed to voice- and image-based searches, both are becoming increasingly important for eCommerce stores. Video use, which is already high, will increase even more. The unstoppable rise of mobile phone shopping continues, as the number of people browsing and buying from their smartphones maintains its stunning year-over-year growth. Chatbots will continue to take over live eCommerce help, approaching the point where they’re handling the vast majority of customer service conversations. More direct-to-consumer brands will grab market share by handling every aspect of a single product or product category—and handling it really well. And online retailers will keep opening physical locations to address some of the fundamental aspects of the shopping experience that are unattainable in the online-only space. Great info! thank you! we are loving Jilt!